Try to buy reconditioned or remoulded tyres where they are available. By keeping tyres inflated at the correct pressure and keeping the wheel balancing and tracking in check you will need to replace them less often. Scrap tyres can be used as boat fenders, and also used to make children’s play equipment. By stacking them you can create compost containers or planters. Extracting the maximum safe life from a tyre saves valuable resources (oil, rubber, steel etc). Before the tyre can be resold it must be checked. 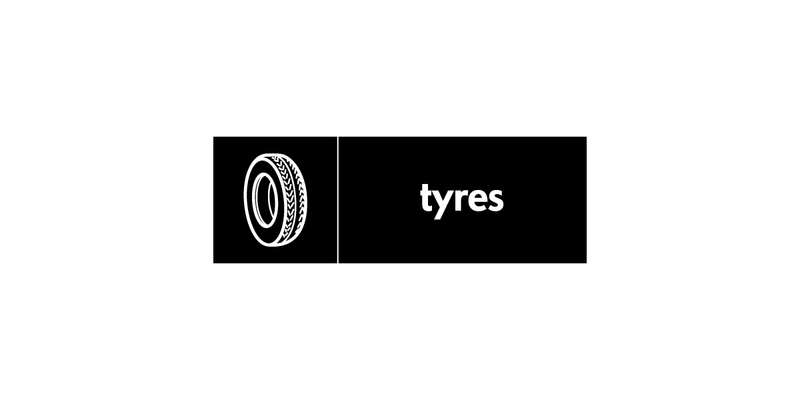 Part-worn-tyres must have a minimum of 2mm tread remaining and be marked as part-worn on both sides at the time of sale. Tyres cannot be put in with general household waste. Burning tyres is illegal and causes toxic pollution. Most garages will accept tyres for recycling or safe disposal. The metal rim, once removed from the tyre, can be recycled at a recycling facility. Residents can take tyres to the Smugglers Way Household Waste and Recycling Centre in their car for recycling.